The TDI9015GB is equipped with a 3000 W motor that produces 60g/min of steam – plenty of oomph for smoothing out creases and wrinkles. There is also a MotorSteam feature that helps steam to penetrate deeper into fabrics, so less time and effort is required for pristine results. 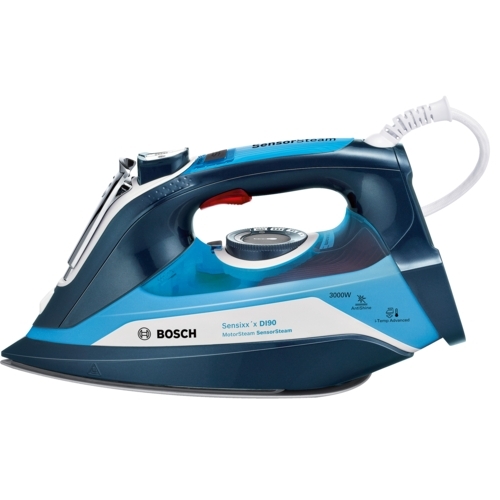 Bosch have equipped the TDI9015GB with a CeraniumGlissée soleplate, which is specially designed to distribute the steam and glide over clothing with ease. This AdvancedSteam System ensures every inch of the fabric is smoothed quickly and efficiently. Keeping the TDI9015GB clean is a doddle as well, thanks to the 4AntiCalc feature. This quadruple cleaning system incorporates a self-clean filter, anti-calc cartridge, cleaning liquid (available separately) and a special calc’n clean function that will leave your iron spotless and working effectively. In hard water areas, Bosch recommend you use the calc’n clean function every two weeks or so. This removes small bits of limescale from the steam chamber. i-Temp Advanced is an incredibly clever feature that lets you iron a range of fabrics using a single setting. Creating the perfect blend of steam application and temperature, the TDI9015GB lets you glide through all your laundry with no fuss. Dark and heat sensitive fabrics can be susceptible to developing strange, shiny patches when ironed. Thankfully, the Bosch TDI9015GB has been equipped with an AntiShine setting, making this ironing annoyance a thing of the past. The Bosch TDI9015GB is incredibly easy to use. 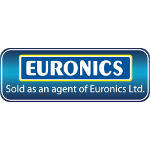 Designed to be ergonomic in the hand, the large buttons and thumb rest make for a comfortable ironing experience. The flex is a good 2.5 m in length, giving you plenty of flexibility and reach. Bosch are renowned for their high quality range of energy efficient home appliances and kitchen appliances including many Which best buys. Bosch products are designed to spark enthusiasm, improve quality of life, and help conserve natural resources.